Point of Sale Hardware & software is not only important for maintaining the day to day financial side of your business, but is also a great way of keeping track of your customer database. Our custom built software is geared heavily to SMS marketing instead of just having SMS available as a feature. 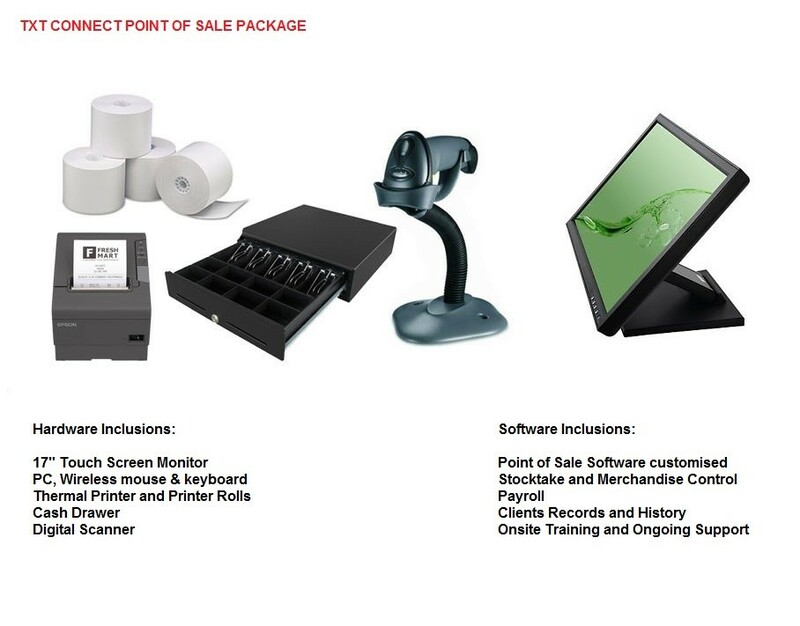 Consisting of all of the tools available in a general point of sale we have the added bonus of being able to customise all features to suit your individual business type!